This is an old book, which you can tell. The content, the presentation of important art and architecture from all over the Near East is quite good and for that this is a very useful reference book. What makes it dated is a) that important discoveries about these civilizations have been made after the writing of this book, and b) that it is somewhat old-fashioned to pass sentence on the taste and knowledge of people who lived so long ago (actually it would be bad taste on more recent subjects too). 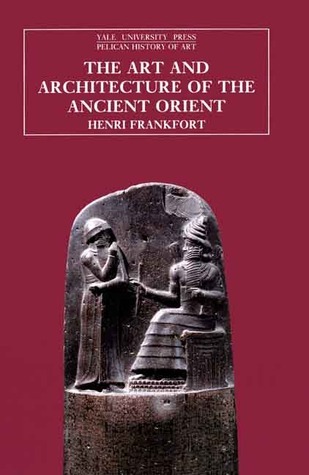 Excellent resource on the art and architecture of the Near East. It is a product of its time (1950's) in a few ways. First, archaeology has moved on and there are things known now that weren't known at the time of this book (and sometimes contradict what it's in the book). Second, the pictures are unfortunately all black and white. Third, there are some value judgements/opinions expressed that may bruise the delicate sensibility of modern coddled readers (I prefer books where authors actually express some opinion and personality). The work is heavily skewed to Mesopotamia. It would have been better if more had been included from the Persians, Hittites, Phoenicians, Parthians, and Scythians, but at some point you're talking about a book that's unreadably large. The work is also skewed to political and religious works; not much of the architecture or decorative arts of daily/private life.